Postsocialism | I write about Russia and 'postsocialism' more generally. Challenging the view that Russians are ‘passive’. uncollected rubbish from a designated municipal site. But before that just a quick recap on the reality of ‘making ends meet’ for many Russians that I talked about previously. Ordinary people are suffering from a decade-long decline in their living standards putting them in a position of extreme want. Published average incomes may look survivable, but the reality is that, like in other unequal countries, such statistics are misleading not least because of the distorting effect of a small number of very high incomes. In 2018 average gross wages were 40000 rubles a month or $560. Whether this figure is fiddled or not, in any case it ignores the large effect of lower informal (undeclared) incomes, and the imbalance between big city state company employment and the rest. Independent polling indicates that the ‘real’ average pay was less than 20000 rubles ($305). $300 is not even a subsistence wage. Even adding to it a lower secondary wage, a family is left virtually nothing for clothing, medicines, travel or spending on children. When trying to measure relative poverty a robust measure is how much a family spends on food and other essentials. 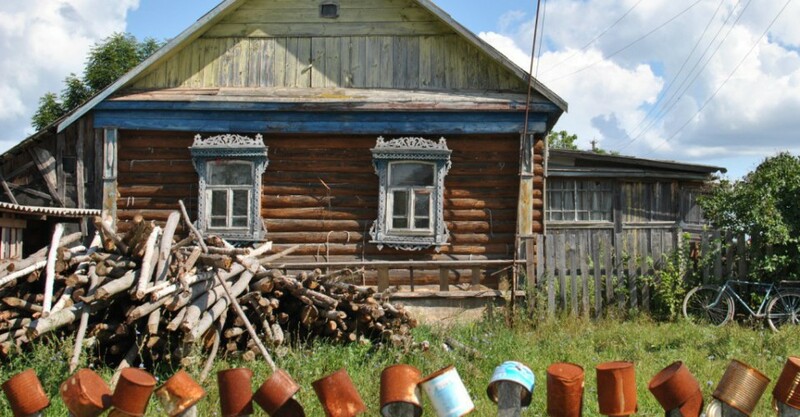 The open acknowledgement of the extreme poverty in which many Russians life can be seen in political events like the strange passing of a law allowing Russians to collect fallen trees, ‘for their own needs’. Influential independent political observers like Valerii Solovei and Vladislav Inozemtsev draw pessimistic conclusions about the ‘extractive turn’. Mostly they view their fellow citizens as passive and lacking any agency, despite the obvious evidence to the contrary – the massive informal economy that sustains livelihoods and habitability above the bare subsistence level and is seriously disruptive to the state. Solovei paints a vivid picture of Russians as passive sponges to be wrung dry in any way possible by an emboldened state – where can people hide from taxes on fuel and cigarettes? (I guess you can anticipate my answer to him – in both cases it’s in the interstices of the informal economy). To be fair to him, he at least strikes a warning note: history shows that eventually people get fed up and social strife is the result. However, his remedy is predictably unimaginative, a bourgeois democratic revolution (without any messy involvement of ordinary people) such as what ‘could have been’ in 2011-12. But how realistic is political change without the engagement of people beyond metropolises? And how would a bourgeois democracy he envisage address the enormous structural inequalities and imbalances Russia faces? Doesn’t this approach just reproduce a ‘two Russias’ perspective so criticized by other observers such as Ilya Matveev? We can see traces of this stigmatizing perspective everywhere: the assumption that a ‘lack of culture’ or an ‘authoritarian personality’ prevents the ‘other’ Russians from seeing the light. On the latter, Carine Clement has recently taken this idea to task. In particular, she rejects the ‘mythical apoliticism of Russians’ and asks the question – if Russians’ ‘authoritarian’ thinking includes a strong element of critique of the existing social order, then to what degree is it really authoritarian? Inozemstev’s approach is more interesting. He starts with the notion of popular disenchantment and elite indifference, but then links this to a more general pessimism. Noting that the ‘new oil’ trope indicates people have awareness of how costly the elites are to them he despairs that ‘the authorities realise quite how broken the Russian population’s willingness to resist really is, from mass protests to even small-scale acts of dissent.’ Does this view make the mistake that only ‘open’ protest is a mark of resistance? Elsewhere Inozemstev actually hints at what is in plain sight: the informal economy as a bulwark against complete penury for many. He notes that even the Russian government openly acknowledges that 38 million people’s work and income is opaque at best to the state. I agree with him that most Russians want to hold down a legitimate employment in the formal economy. However, given such pessimism, even this is increasingly questioned by some of the already most vulnerable. The qualifying period for an old age pension will soon increase from 6 to 15 years, the social rights that accrue to a formally employed person are losing their value due to the erosion of the health system in general. All in all Inozemstev proposes some incremental reforms that can be characterised as too little too late (tax free allowances on low incomes, assistance schemes like food stamps), which are regressive (increasing VAT) or even defeatist (corruption should be limited to the resource sector). Overall it looks like a kind a pale Fabianism with little scope for taking root. In his latest piece Inozemstev is closer to some of the points I make in my previous post – detailing what the increasing in indirect taxation will mean to ordinary people – a real rise of around 10% in petrol costs and the real fall in incomes since 2008. Interestingly, given the ongoing ‘rubbish disposal’ protests, he points to the very large increase in household bills for waste disposal. This increase – a doubling has not gone unnoticed by ordinary people and they are up in arms about it – especially in places like the town I study which has been repeatedly the victim of fly-tipping of Moscow rubbish and which recently saw its head of the council’s environmental services jailed for taking bribes to allow such tipping. Ekaterina Shulman uses the questionable assumptions and methodology of the World Values Survey data to address the topic of ‘turning the screws’ on ordinary people. She first argues that a shift in Russian values from ‘superatomisation’ characteristic of the 1990s to ‘conservative’ is somewhat positive as it facilitates collective action and sociality. A notable effect is the strengthening of weak ties and broadening of the scale of interpersonal trust especially among the young and dynamic. On the other hand, she sees in Russia the continuing legacy of totalitarianism: ‘secular, atomised society’ that produces the lonely distrustful individual with atrophied social skills. Homo soveticus is very much still with us in her view. Consequently, she greets the shift in public opinion from ‘political security’ to ‘social security’ with some surprise (in reality this aspect of public opinion has always been there). The beef I have with approaches like these is that the ordinary Russians who daily make decisions about how to live are presented as an undifferentiated mass – suffering from ‘learned helplessness’ (a phrase used by Ekaterina Shulman but also by Carine Clement) or as an unruly source of social unrest – the word ‘revolt’ (bunt) is reserved for them. At worst this ‘by-the-numbers’ approach gives the impression that ‘we’, the addressed middle-class audience of these pundits, should fear the ‘other’ Russia. Solutions presented ring hollow – they are either a form of gradualism or legalism (vote, even if the field is rigged; use your right to agitate against a bad candidate; if only we just adhered to the Constitution; wait for those nostalgic old people to die). In my final post on this topic, I’ll make use of James Scott’s ideas of infrapolitics to talk more about everyday forms of resistance to the extractive turn. This entry was posted in Russia and tagged Clement, Inozemstev, Matveev, middle-class, poverty, Scott, Shulman, Solovei on 28/02/2019 by Jeremy Morris. Why do 66% of Russians regret the collapse of the USSR? Note (and I guess it needs saying), that this is not my opinion of what the USSR was like (as if there can be a single ‘reality’ of lived experience of an incredibly diverse state that existed for 70 years), just an interpretation that might well be ‘real’ to the person who is asked the question. The second thing is that poll answers are overly and frustratingly simplistic answers that actually express (or, as I have just said, obscure) very complex feelings and values of the people they are asked of. It is amazing that when I talk to political scientists, they often don’t really believe this in their heart of hearts. Take for instance Brexit or Trump. These ‘answers’ are not merely, or even mainly, about ‘immigration’ or ‘racism’. Let’s turn the phrasing around. If Levada asked: ‘Do you regret the founding of the Russian Federation in 1991?’ I’m pretty sure the majority would say ‘no’ and so the poll would in a way be reversed. Here’s the poll in question. Note the fluctuation since 1999 of around 20 % of the ‘regret’ vote (however, most ‘regrets’ are in a band between 53% and 65% since 2005). (Don’t look at the graph, look at the table). This fluctuation could be to do with people with direct experience of the USSR (positive or negative) dying along with people with no personal experience thinking in more rosy terms about the period – hence a kind of up and down wave effect. But, you would also expect nostalgia to rise according to periods of crisis. When people feel their lives are not going to plan they might well look back to a ‘simpler’, more ‘stable’ time with nostalgia. That’s plausible for the figures in 1999, 2000, and 2001 when people took a massive cut in living standards due to the Defolt. However, that is not borne out by the data here when taken in terms of trends over time since then. So perhaps there is not clear answer as to ‘why’ the numbers fluctuate. Here we could have an aside about polling most often telling us ‘nothing’ directly related to the question. Now to the question of the meaning of nostalgia. Boym was first and foremost a Russian cultural scientist with a deep commitment to the personal insights lived experience provides for research. We can ‘read through’ her descriptions to suppose that both forms could be operative for nostalgia towards the Soviet Union. And as their psychology origins suggest, nostalgias can be personal quirks, irrationally warm ‘affective’ feelings, passing infatuations, or indeed pathologies bordering on madness. I suggest that all these are operative in different people at different times in the last three decades. Lastly, we can break down nostalgia into a scale of more ‘rational’ interpretations by people. I rank these not in order of importance, but in terms of macro-to-micro social scale. All, some or one may be simultaneously operative in a person’s mind when they answer the pollster’s phone call – in fact none of them might be operative and the person getting the call might just want to get the pollster off the line! Nostalgia for Great Power status (empire and the respect for the geopolitical might of the USSR). See Mazur below (and Kustarev) on the ‘myth of achievement’ and the ‘myth of power’. Political order (totalitarian as a system that ensures a lack of political and civil strife, that obviates the need for the citizen to perform any political roll – relief at this and thankfulness – particularly effective in those that see the 1990s as ‘chaos’). See for example, ‘We grew up in a normal time’ – the title of a chapter in a book by Don Raleigh on Soviet baby boomers. Social order (“to each according to his needs”) – the Soviet social contract (which Linda Cook shows was failing in large part by the 1980s). Related to this, as in the West, a period of sustained social mobility. See, for example, Liudmila Mazur’s ‘Golden age mythology and the nostalgia of catastrophes in post-Soviet Russia’, although her polling data paints a more complicated picture of the ‘myth of prosperity’. An emphasis on the sincerity in personal relations, the intensity of personal trust and reciprocity given the ‘heartless system’ of the USSR – note how this is contradictory to point 3, yet perfectly possible to hold this belief at the same time as number 3. People are like that. Nostalgia for the time of one’s youth (probably universal – hey, I think the early 1980s in the UK were great, but ask a miner or other person from the North that). Nostalgia for personal and more widespread idealism (the BAM-romanticism factor) that accompanied this. See Mazur on the ‘myth of achievement’. Recognition of Labour(due recognition given to labour as the primary factor of production). Not that I am not saying that work was more ‘dignified’ or better paid than in the West during the Fordist period after WWII. Merely, and this is what most of my research interrogates, many working-class people feel nostalgia for what they perceive as a better time before the present. They highlight particularly, relative lower inequality (everyone was paid badly! ), relative degrees of social compensation for labour (the social wage and labour paternalism included subsidised childcare, faster routes to social housing for workers, subsidised food), the team-level autonomy of work given the dysfunctional industrial system – bottle-necks, old equipment, distant management, shortages – all these led to a large degree of control over work, as enterprises looked to individuals and teams to find quick and dirty hacks to solve these otherwise intractable structural problems with the Soviet economy. Another way of looking at this is to say that workers had little or no political or associational power in the USSR, but they did have structural (work-place bargaining, or ‘contingent’ power). Also operative are the answers that regret ‘loss of homeland’, ‘destruction of kinship and other ties’ – these are offered as options in the more detailed poll question. However, I think my 6 are more heuristically persuasive than the dry promptings of Levada, including the most important one: ‘the destruction of a united economic system’, although my points 2, 3, and 6 could be version of that. This entry was posted in Russia and tagged collective memory, golden age myth, memory, nostalgia, polling, uses of the past on 19/02/2019 by Jeremy Morris. It’s cold and dark (and that’s just inside the academy). And this post kinda reflects that January feeling of doom. This piece in Aeon by David Labaree, ‘Gold among the dross’, has much to offer in helping non-insiders understand US academia, and the perverse incentives pertaining to an academic job more generally (that academics are driven less by fear and greed and more by ‘token’ marks of ‘glory’). But it raises more questions than it answers when it comes to comparing the merits of the US (and similar UK) system and other ways of organising universities. And that’s to ignore what in my view is the untenable, but widespread view, that scholarship is an ‘internal good‘ a lá Alisdair MacIntyre. (An ‘internal good’ is the result of a practice within an ‘institution’ – i.e. where there are understood rules of the game – where that practice is undertaken according to a moral principle of excellence. One pursues excellence for its own sake – hence being ‘internal’ to that practice). I’ve been thinking about the ‘internal good’ element of certain social practices for a long time, particularly via Russell Keat’s interpretations of MacIntyre’s ideas. In my research, I examined how Russian blue-collar workers engaged in DIY activities in ‘competition’ with each other for ‘sport’. The internal good is ‘expert’ peer recognition of the skill and excellence performed in constructing DIY-decorative-but-useful domestic pieces, such as fish tanks and metal furniture. Crucially, there is no ‘prize’ beyond that recognition, in marked contrast to how an academic career operates. (actually there’s a bit of a wobble here in defining the ‘good’ as it could be seen as both/either the value in the practice itself ‘means’, rather than ‘ends’, or/and the peer recognition in a community of practitioners – Keat does address this problem in his reading of MacIntyre). Thinking about academic institutions in this way, many, even within universities subscribe to a view of the ‘nobility’ of intellectual work they do in a way that recalls the idea of MacIntyrian practices and goods. Perhaps because I’m not quite smart enough, I’ve always found it very surprising that smart people could think this way. I can’t quite disassociate this belief with other ‘hegemonic’ yet flawed ideas. And not least this is because of the deep and pervasive anti-intellectualism I perceive that underpins so much academic practice (actually that’s the initial bee I had in my bonnet, but will have to wait for another time). To be fair to Labaree, he argues that academics are motivated more by ‘fame’ than intellectual curiosity or the belief in furthering understanding. What I think he underplays is that the very pursuit of academic prestige is inseparable from other motivation such as vanity, greed, or fear. Possibly all of them at the same time! I can’t help but reflect on this in comparison with my own institution in Scandinavia, which more or less is described using Labaree’s phrase: ‘under direct control of the state education ministry’. The author assumes that where there are purer market incentives, like in the US, then entrepreneurial academics lead to the best outcomes (albeit with a lot of waste). Perhaps the hegemony of the “university-as-market” idea is just one of a number of Anglophone-world assumptions. Another might be that ‘tenure’ in Europe works like in the US and I think inattentive readers of the Aeon piece might also make that assumption (because the piece begins by talking about endowed chairs). A fundamental difference is that ‘tenure’ in the non-US is largely linked to the institution’s, or ministry’s evaluation of the utility of the subject taught (not researched) by the academic in question. Thus in some places even ‘full’ professors can lose their jobs (as they have done even in the UK in less research-active universities). Overall though, I think the Aeon article (and those who share its sunny perspective, particularly within academia itself) wilfully ignores the hidden ‘network’ of clientalism and patronage. Especially when Labaree resorts to statements like this: ‘As a grad student, you need to write your way to an academic job.’ Hmmm, can we really say that’s true, now or in any period? This is not a market based on merit. This is, like so much of the global moment, about hidden cartels, backhanders and networks of ingratiation (not grace) and favour. Also, is it really true, as Labaree states based on a previous study, that Liberal Arts (economics) academics only publish 5 peer-reviewed article in their entire careers? (Is this a misrepresentation because they’re more likely to publish books and chapters?) And then there’s this: “lowest end of this top sliver of US universities has faculty who are publishing less than one article every five years. The other 80 per cent are presumably publishing even more rarely than this.” Perhaps I’m only surprised because I know little of the US system. If that’s the case then what’s interesting is now metric-led requirements have invaded even less research-intensive universities in Europe in comparison to the Liberal Arts system in the US. Or is this just an artefact of the huge number of small LA institutions in the US and the vast majority of state unis in Europe that have to show ‘value for money’ in research? It’s ironic that many of my UK colleagues think that I have fewer research pressures in Denmark than under the REF regime in the UK, and largely that is true. However, if looked at purely through the lens of ‘quantity’, a Danish academic in Humanities or Social Sciences is expected to produce two ‘higher-tier’ outputs a year, which is more than the average a UK academic is likely to produce for consideration in the REF cycle. And this is in an institutional environment where research time (whether as annual number of hours or as a percentage of time) is not officially counted. Food for thought. Or, perhaps I should add the disclaimer: ‘just sayin’’. Okay, let me get back to the essence of my gripe. Articles of this type ignore the broader question of power. In my (humanities/social science restricted, though diverse) experience of academia, the pursuit of power (institutional, financial, situational) motivates many (tenured or middle- to high-ranking academics). I would not put the ‘practice’ of the pursuit of knowledge even in the top three motivations. Autonomy in work, financial security, sure. Name whatever you like as a third. Of course, personally I am bound to argue that I am ‘not like that’. I.e. driven more by the intellectual ‘practice’ that results in ‘internal goods’ – recognition of a contribution to knowledge, some new, some old, some wrong, some right (after all, only in the long term is it possible to say with any certainty). But it’s not for me to judge myself. What I will say, and what motivated this post, is the long-term observation that one meets few people so lacking in intellectual curiosity as career academics. And this is not just a question of overspecialisation – as is sometimes argued. Many are disturbingly uninformed not only about the world ‘ in general’ and even basic social facts, but also about related disciplines that should have purchase on their thinking. (One colleague often points out that this is generally not so much the case in the former Eastern Bloc where the idea of the rounded intellectual worker remains). And this is despite the language of ‘interdisciplinarity’ gaining ground if not substantive meaningfulness. Then there are the snake-oil scholars, the empty echo equation solvers (where social or humanist knowledge is divorced from the world, is it knowledge? ), not to mention the types one finds in all organisations – office-holders. Of course my criticism of marketised hegemony in the university is nothing new. Keat references Jerome Revetz’s work from the early 1970s. His Scientific Knowledge and Its Social Problems examined issues of the ‘industrialization’ of science and the need to reinvigorate the idea of ‘critical science’. The risk with increasing specialisation in science is of course the difficulty in detecting in a timely manner various kinds of ‘degeneration’, or shoddy science. We can see this at the root of the mistargeted ‘grievance studies hoax’. (See my brief response to this weasel defence of the bad faith fraud) By all accounts, fake science and flawed science is fundamentally the problem in much heftier disciplines than gender studies and queer theory (where all the fraudsters have uncovered is weak peer review and the failure to call out poor argumentation). As Craig Pirrong points out, the reproducibility crisis in psychological research is acute (50 percent of psychological studies being non-replicable). And most involve relatively simple experiments. To ground this in reality I offer my example of Russian working-class men making fish tanks. They were pursuing ‘internal goods’ – the recognition of excellence in practice. These practices were wholly divorced from power, money or fame (beyond the institution of the practice – their social circle of confreres). By contrast, the university sees internal goods (the production of knowledge) subordinated to more ‘worldly’ ones. This isn’t any answer to the problem, just a call to think more about how one’s own research (in places as distant as former Soviet factories) can inform an understanding of the institutional world that academics inhabit. This entry was posted in Academia and tagged Academia, industrialized science, intellectualism, internal goods, Jerome Revetz, Labaree, MacIntyre, marketised knowledge, Russell Keat on 09/01/2019 by Jeremy Morris. The neoliberal compact and the loss of autonomy for Russia’s middle class. This is my third and final post about the papers presented as part of a panel on Class formation in Russia at the BASEES Uppsala conference, Regimes and Societies in Conflict: Eastern Europe and Russia since 1956. The third paper in this troika is by Mikhail Chernysh on ‘The structure of the Russian middle class’. Chernysh begins by examining the Russian government’s development programme “On the concept of the social and economic development 2008-2020” which aims to increase “the intensity of growth of the human capital and the middle class”. The policy paper is useful to get an idea of the government’s way of defining a middle class. These are individuals with incomes over six times the minimum. On this measure the ‘middle’ rises from 30% in 2010 to 52-55% by 2020. Chernysh remarks that it is symptomatic that the self-employed or small and medium entrepreneurs don’t really figure in this equation. The middle class is defined mainly by improved consumption linked to income. It is striking here how modest this definition is in money terms. If ‘minimum income’ here refers to the МРОТ, then a ‘middle-class’ income equates to around 60,000 Rubles per month or 750 Euros a month. Here’s a discussion of the ‘minimum’: https://www.gazeta-unp.ru/articles/51943-mrot-v-rossii-s-1-yanvarya-2018-goda-qqq-17-m08. Going back to Markku Kivinen’s paper on linking middle-class to the classical idea of a propertied bourgeoisie, it is interesting that this amount is not enough to build assets over any meaningful period in most circumstances in Russia. People (including dual-income couples with no, or one, child) on this income typically resort to micro and meso short-term loans and mortgages. There are many stories of bad debt, ruined relationships and moonlighting among this segment of the so-called ‘middle-class’. In this income bracket I see people give up or downgrade their automobiles (to Russian or second-hand models bought for cash), whereas in the ‘noughties’ they bought new on credit. Similarly, while people nudging 1000 Euros, or so, could previously holiday now and then in Europe, now they are turning to domestic destinations, or those in the CIS (witness the boom in Armenia/Georgia tourism). Chernysh then reports on an interesting discourse analysis by E. Balobanova which examines how Russian presidents have used the phrase ‘middle-class’. [E. Balobanova 2011. Analiz ponyaita “srednii klass” v poslaniakh presidenta Federalnomu sobraniu RF. Political Linguistics. 2(36). For Yeltsin this phrase meant primarily ‘the bureaucracy’, echoing discussion in other papers about the ‘state’-focus of class and caste. Under Putin and Medvedev there was rather inconsistent rhetoric about raising what we might call the neglected technical intelligentsia up to the middle class. It’s interesting that again, entrepreneurs are nowhere in sight and neither are the ‘core’ intelligentsia of teachers and lecturers. Chernysh then traces the controversial debates in sociology about the middle-class – from being seen as a myth, to the current (politicized?) promotion of Russia-specific ways of counting a middle-class that would produce figures higher than 10% or 20% (see my previous post). Chernysh remarks that this led to the rather unconvincing result of an income of 220 Euros-equivalent allowing entry to the middle class – 44% of the population! Chernysh then goes on to discuss what he sees as the neoliberal compact in Russian society – particularly with regard to its effect on the state-sector middle class. In return for large increases in salaries, doctors, teachers and others had to sacrifice job security (austerity cut backs) and autonomy (increased monitoring, loss of control over job processes). This strongly parallels my findings among working-class cohorts in the same period. Also important for Chernysh is the actual intensification of work for these groups. The positive part of the deal – increased pay – is at least partly illusory. This is because of intensification but also because much of the pay increase is based on discretionary awards – premiia/nadbavka, etc. This also finds strong echoes in my work with caregivers like teachers and kindergarten employees. They complained after 2009 that they weren’t really better off as so much of their pay was subject to these ‘tricks’ (see p. 62, 64). Chernysh speculates that these factors may influence the current negative evaluation of the government by these groups. Based on a number of datasets, particularly focusing on responses to questions about what people struggle to afford (durables, more expensive purchases like cars, etc), Chernysh finds that coupled with an occupation approach, the Russian middle-class is less than 20% of the population and more likely less than 15%. Following Erik Olin Wright’s definition of the middle class as those working in jobs where autonomy is possible, Chernysh analyses autonomy as a variable in a group of respondents with middle class consumption patterns and a university degree. He finds a significant fall since the 1990s in this category. This is important in the historical context of the necessity, even under totalitarianism, of a ‘moderate level of work autonomy’ in Soviet professions. (I argue, along with the sociologist A. Temnitskii, that this was true of blue-collar workers as well). Chernysh concludes by drawing parallels with H. Balzer’s Russia’s missing middle class : ‘Middle class consciousness is contradictory, it is not only critical, but also individualistic, showing limited capability of concerted action in defense of group’s rights and class positions. It looks like a revival of historical pattern dating back to the pre-revolutionary times. Balzer’s analysis of the tsarist Russia middle class showed that it was too small and disorganized to effect tangible influence and possibly revert the negative tendencies that weaken existing economic and social institutions’. Returning to the panel as a whole, the organizer, Jouko Nikula, recently published an interpretive summary based on a broad survey dataset ‘Social Distinctions in Modern Russia’ (SDMR), which some of the papers also made use of. Nikula points out the ‘decreased opportunities employees have to influence their working pace or work tasks’, particularly among professionals and in the public sector, with a narrowing too of flexibility on working hours. Unemployment has been low despite the two recessions endured by the country – one in 2009, the second in 2014. This because of a persistence of the Soviet practice of labour hoardings and paternalism, at the cost of low wages and furlough, as well as the foregoing of bonuses, which as we discussed earlier, make up an increasing proportion of the real take-home wage. All in all then, a provocative set of papers from the Uppsala conference. To conclude I would ground them in the reality of my ethnographic fieldwork (albeit partial and unrepresentative). I note the following from my own fieldwork: the least satisfied people from my research were always those that experienced the least autonomy (or a perceptible fall in it over time) – but this was true both of working-class (forklift drivers, packers and sorters in the carplant), and middle-class jobs (teachers and child-psychologists, whose work became increasingly monitored by metric evaluations over the 2010s). Who was most ‘satisfied’? Those with the most or least – well-paid entrepreneurs in high-barrier-to-entry areas like data-gathering and bespoke services, and at the other end, those informal taxi-drivers and grifters who answered to no one and could always ‘withdraw’ to the burrow of the garden plot (at least in the summer) and other strategies of informality. This entry was posted in class, Russia and tagged autonomy, Balobanova, Balzer, Chernysh, middle-class, MROT, neoliberalism, Nikula, Temnitskii on 26/11/2018 by Jeremy Morris. This is my second post about the papers presented as part of a panel on Class formation in Russia at the BASEES Uppsala conference, Regimes and Societies in Conflict: Eastern Europe and Russia since 1956. Melin interrogates the applicability of the ‘precarity’ concept to Russia using survey data about jobs. Following Guy Standing, Melin presents precarity as a process: ‘to be precaritised is to be subject to pressures and experiences that lead to a precariat existence, of living in the present, without a secure identity or sense of development achieved through work and lifestyle’ (Standing, 2011: 16). For Melin, Standing’s work shows that the precariat lack a work- or occupational-based identity. However, Melin cites his own and others’ work in Finland as an example that shows the rise of insecure and temporary work is, in his view, not the case. Melin is interested in O. Shkaratan’s concept of etacratism to understand Russia’s social structure. Just as Soviet society was not really socialist but form even approaching state capitalism (insert your own caveats here! ), contemporary Russian society is a direct continuation of this etacratic tradition (Radaev & Shkaratan 1992). This approach influenced S. Kordonsky about whom I’ve written recently. Melin’s survey data tell a story about an absolute and relative growth in ‘skilled working-class’ jobs in Russia, at the cost of unskilled work and ‘nominal’ managerial positions. To collect data Melin used Erik O. Wright’s class typology (Wright 1978, 1997) and to triangulate that with precarity Melin’s respondants are sorted into 1) unemployed, 2) fixed-term labor contracts 3) part-time jobs. The data is from the European Social Survey 2010 set. Precarity is defined as ‘several unemployments, part-time or fixed time employments’. By this measure women in Russia are much less precarious than men, who are more similar to Northern European counterparts. Perhaps more interestingly, Melin counts a very small Russian middle-class – barely 20%. The high number of Nordic youth he counts as precarious is compensated for by the more comprehensive social protections in those countries. Melin then moves on to subjective measures of precarity: “While in the Nordic countries 55 % of the skilled workers feel that they can live comfortably with their income … in Russia, only 5 % of skilled workers feel living comfortably.” Melin finishes by drawing attention to what I consider a ‘symptom’ of high subjective precarity: my and Sarah Hinz’s work on high labour turnover in the Kaluga Volkswagen factory where relatively well-paid blue-collar jobs there should mean less job ‘churning’. Melin notes how this could be related to precarization and the increase in the use of short-term labour contracts. It might be worth thinking about the agency of workers in making the above ‘necessity’ of turnover into a virtue. ‘Bad jobs’ leading to turnover, leading to making of turnover into a form of skilling up (or ‘trying out’ of different skills pathways – as the very least). At least within the limits of one’s ‘profession’. This also calls back Markku Kivinen’s point in his paper about the conundrum of high inequality yet lack of class-based polarisation. Partly this can be explained because of the remarkable turnover – ‘exit’ as the only viable strategy. There’s a lot in my book about the final destination of workers who ‘churn’ – it’s an equally precarious existence in the informal economy. This is why there are so many male unregistered taxi-drivers. The Russian state has declared ‘war’ on this type of informal income recently. We could also here take some issue with the blanket position of Harri – that the etacratic system provides more stable and safe employment to workers. My gut feeling is that this is being severely eroded for a number of reasons – corruption leading to the replacement of ‘meritorious’ workers by clients, and welfare state residualisation/austerity meaning the laying off of many workers. Mikhail Chernysh’s paper takes this up. I will discuss his paper in my next post. This entry was posted in class, Russia and tagged churn, Erik Wright, etacratism, Hinz, Kivinen, labour turnover, Melin, middle-class, precarity, Shkaratan, Standing on 19/11/2018 by Jeremy Morris.